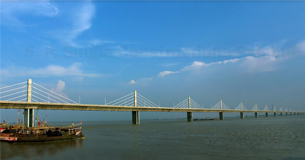 * * * 2.580 m Long High Level Bridge built across river Mahanadi in the state of Odisha. 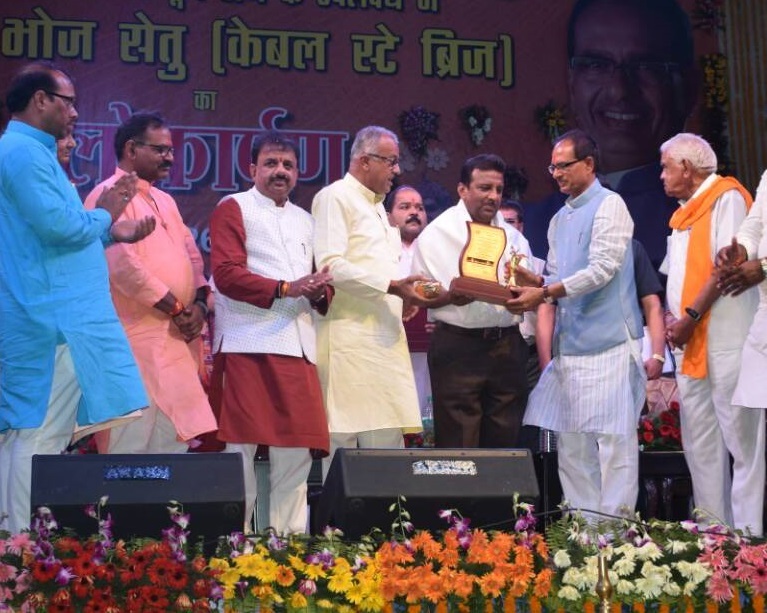 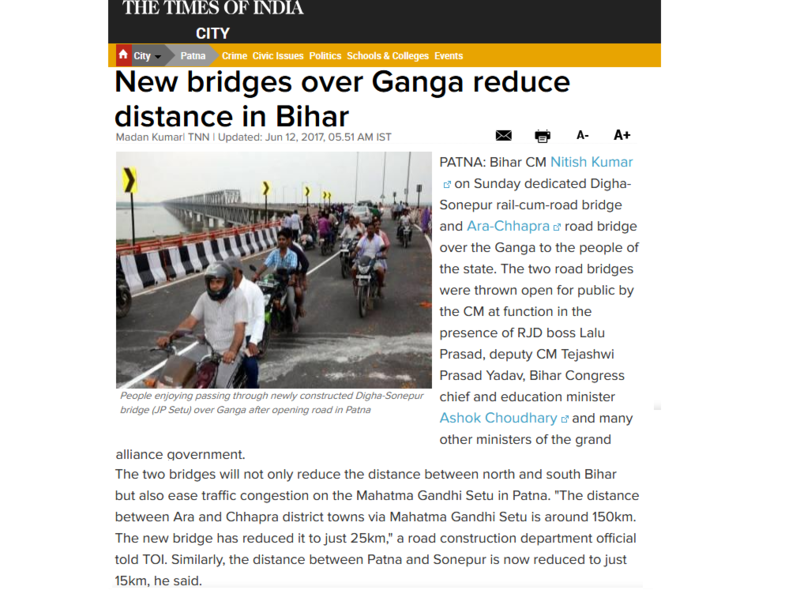 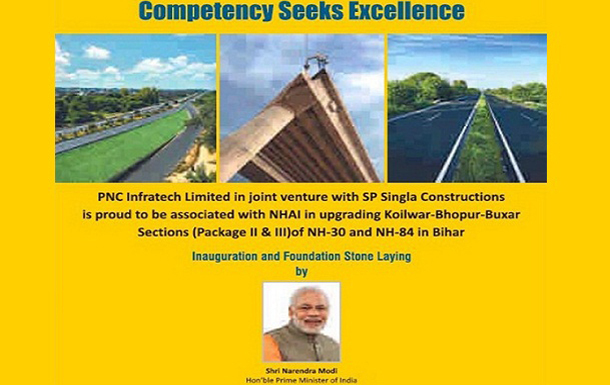 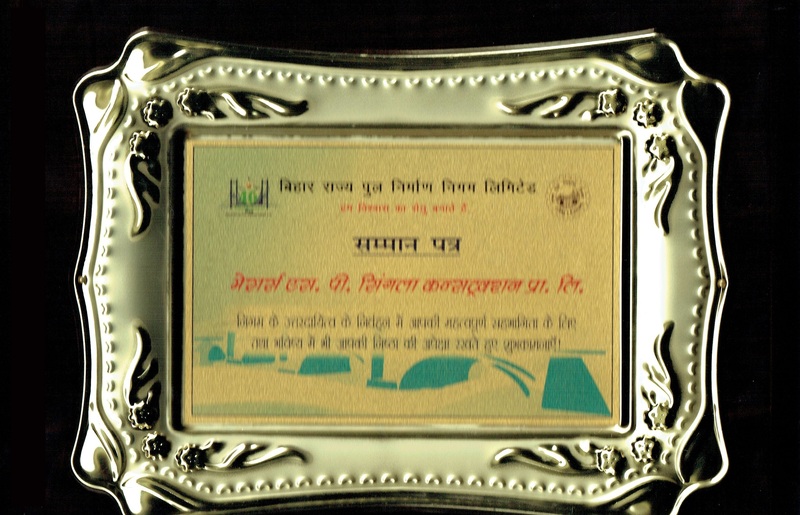 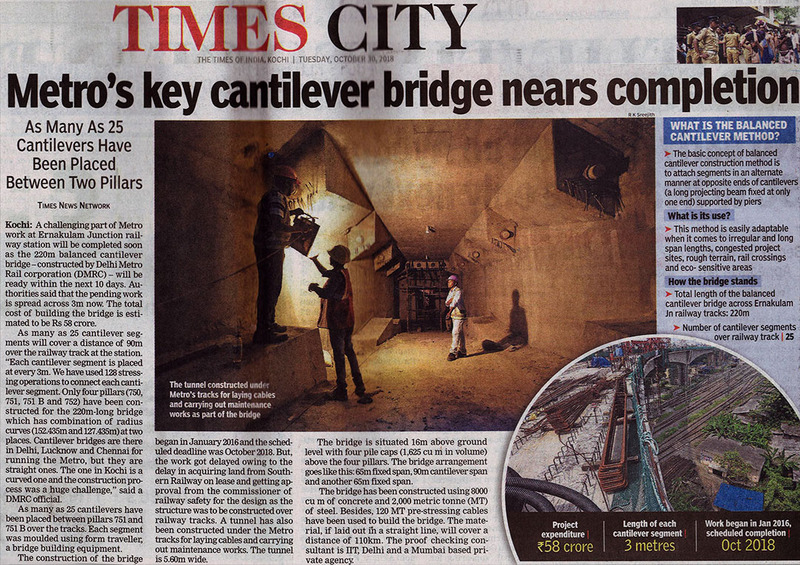 *** 2.544 Km Long Extradosed Bridges across the Ganges at Balia in the state of Uttar Pradesh. 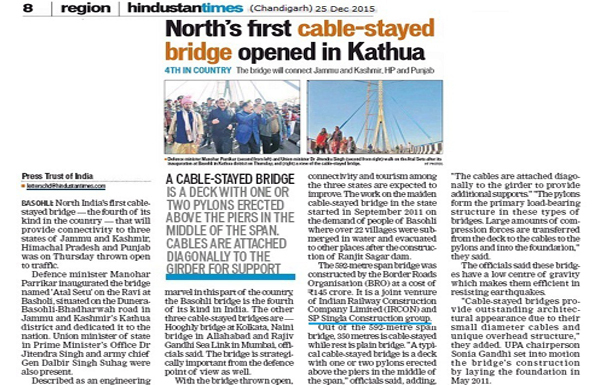 24-Dec-2015 : Union Defence Minister inaugurated country's highest and 2nd longest span Cable Stayed Bridge at Basohli in J&K. 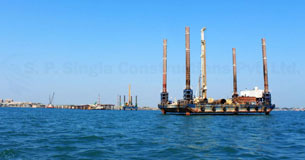 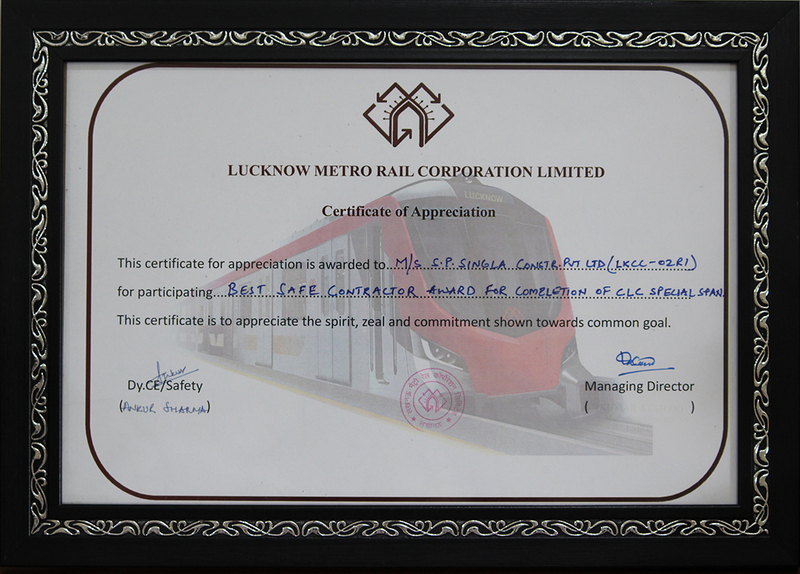 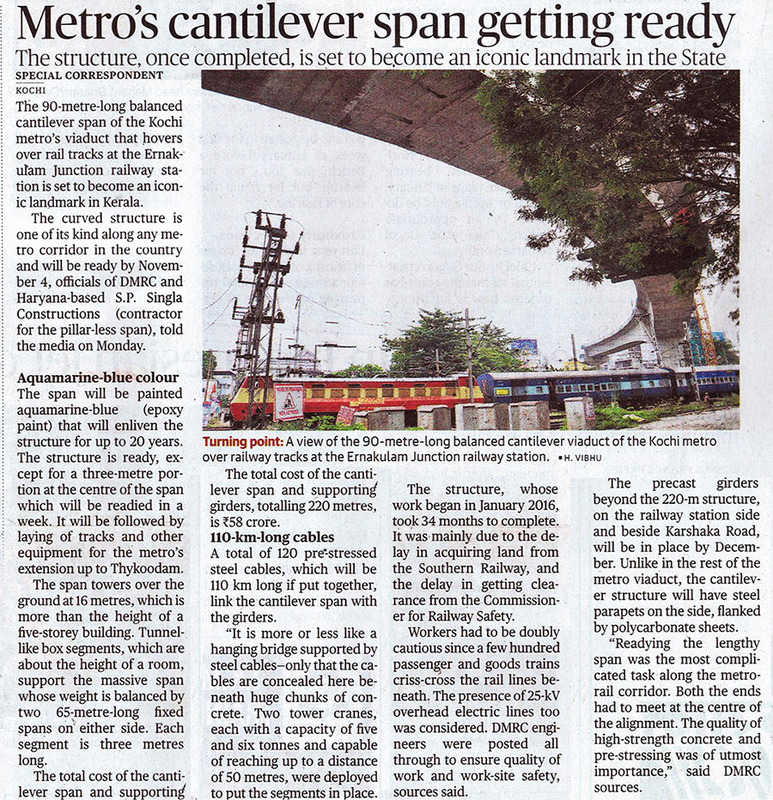 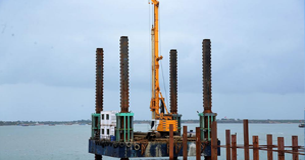 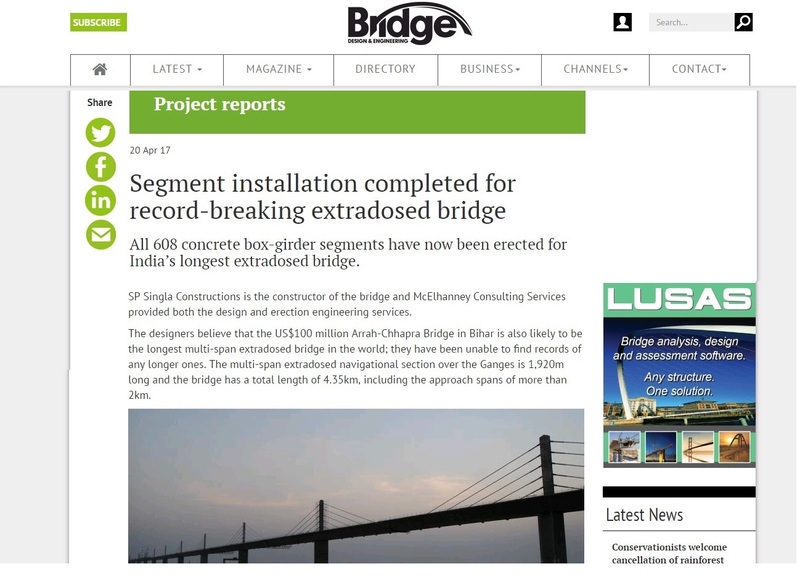 First Cable Stayed Bridge in India built under Design-Build scheme. 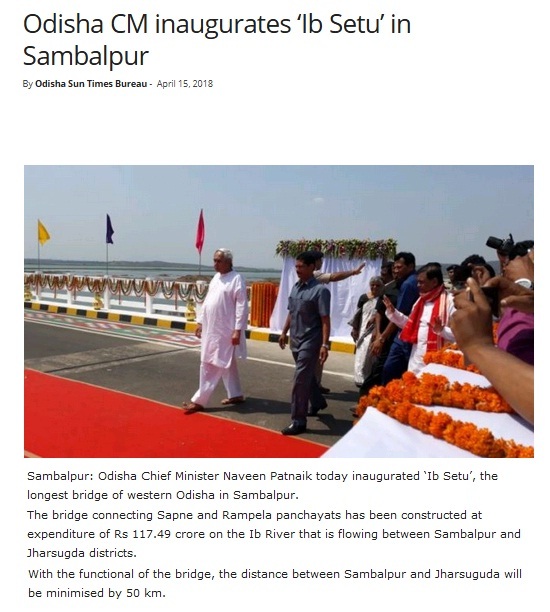 01-Apr-2018: CM of Odisha inaugurated 2.48 Km Long High Level Bridge across river Mahanadi in Cuttack in the state of Odisha. 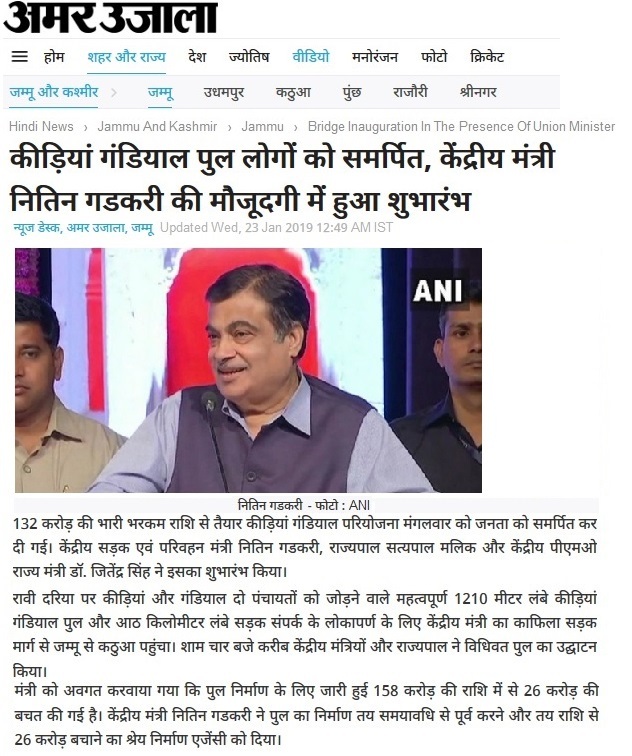 20-Mar-2018: Chief Minister of Uttrakhand inaugurated Steel Truss Bridge Built over river Alaknanda. 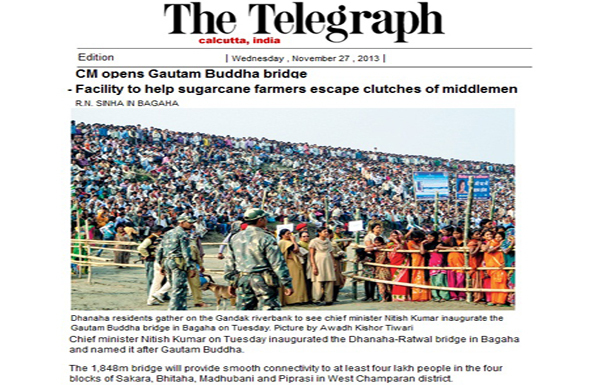 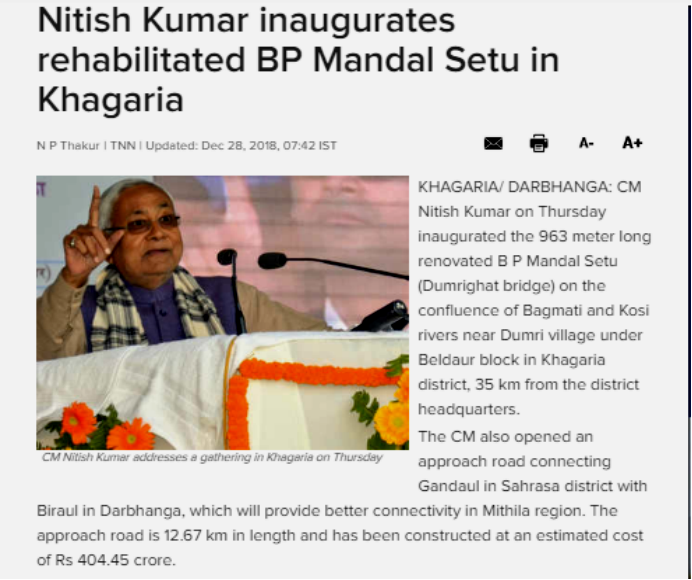 28-Dec-2018: CM of Bihar inaugurated Extradosed Bridge built across river Koshi at Khagaria. 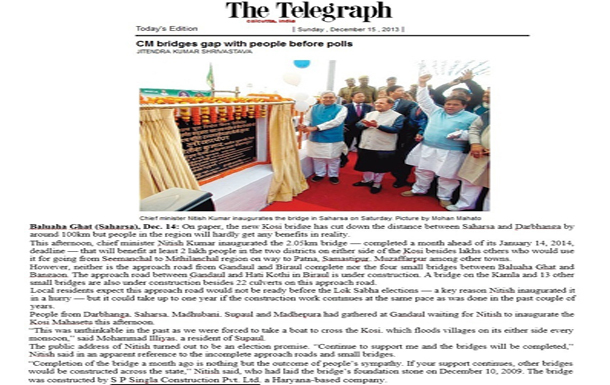 22-Jan-2019: Union Minister for Road Transport & Highways, Shipping and Water Resources inaugurated Bridge across river Ravi between Kerian-Gandial. 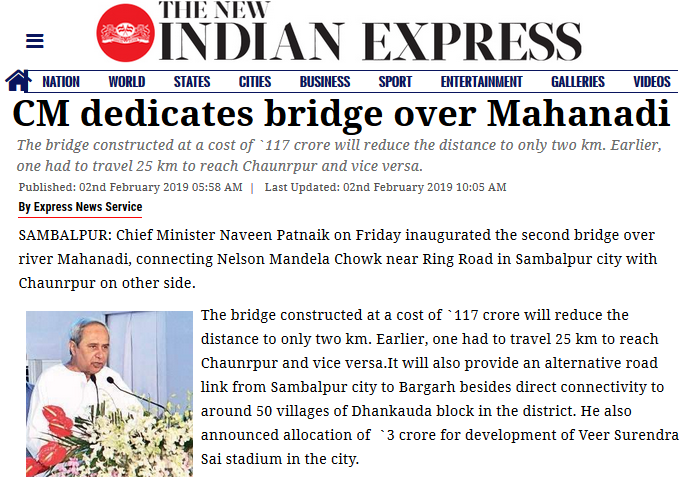 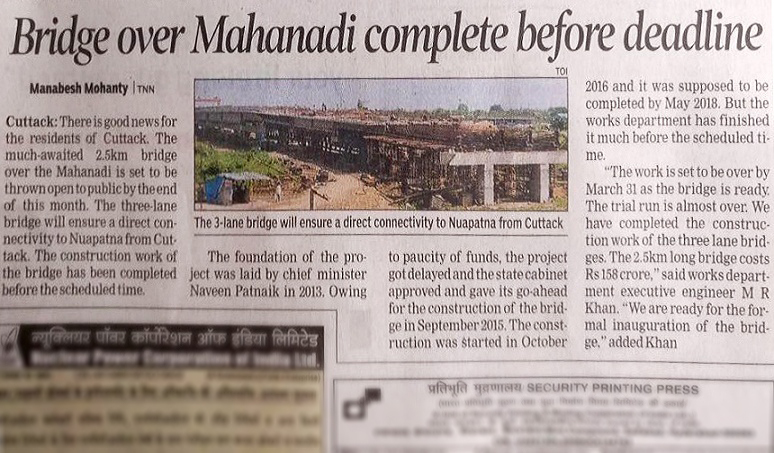 02-Feb-2019: CM of Odisha dedicated 1.5 Km long Bridge over Mahanadi at Nelson Mandela Chowk, Sambalpur 11-Feb-2019: Prime Minister laid the foundation stone of New 6 Lane Bridge across river Brahmputra between Guwahati and New Guwahati in the state of Assam. 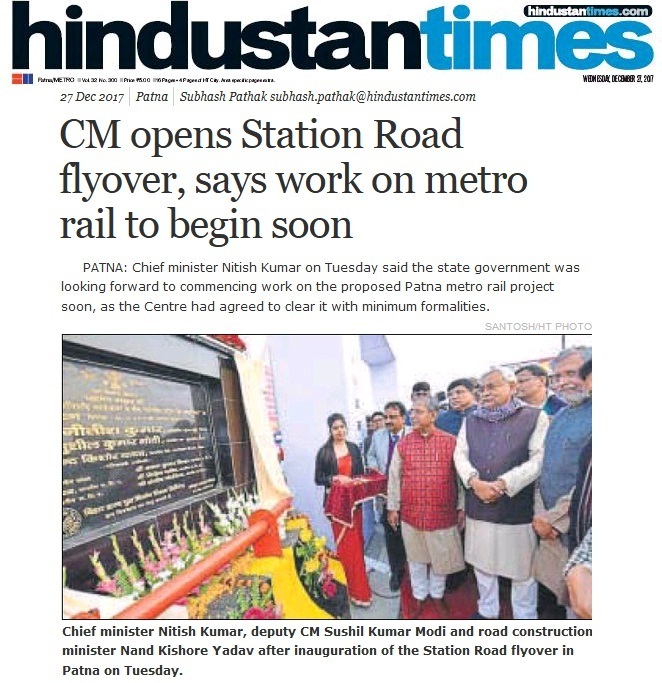 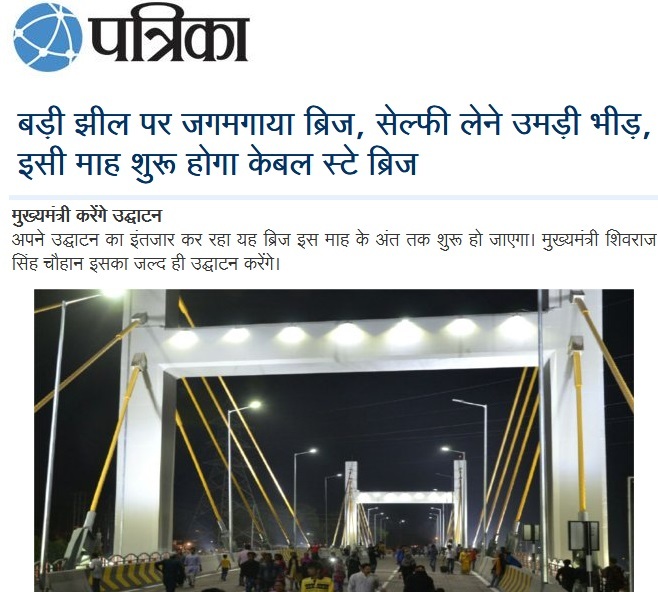 08-Mar-2019: State Minister inaugurated Cable Stayed Bridge across river Hatania-Doania in the state of West Bengal. 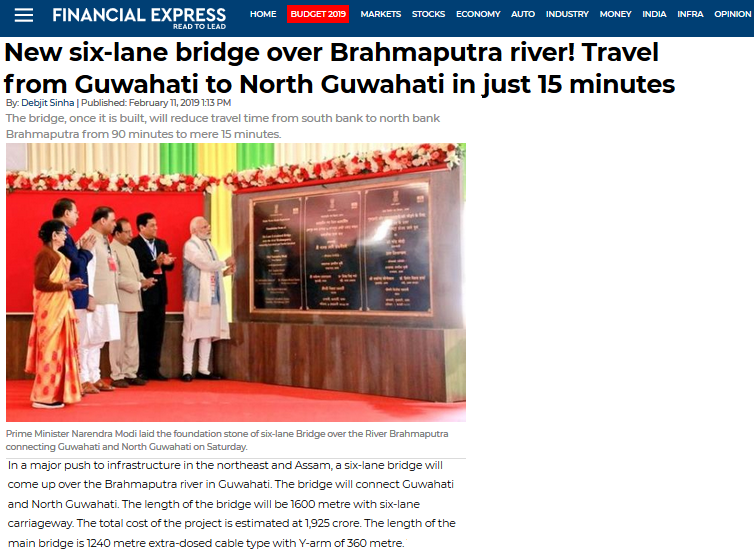 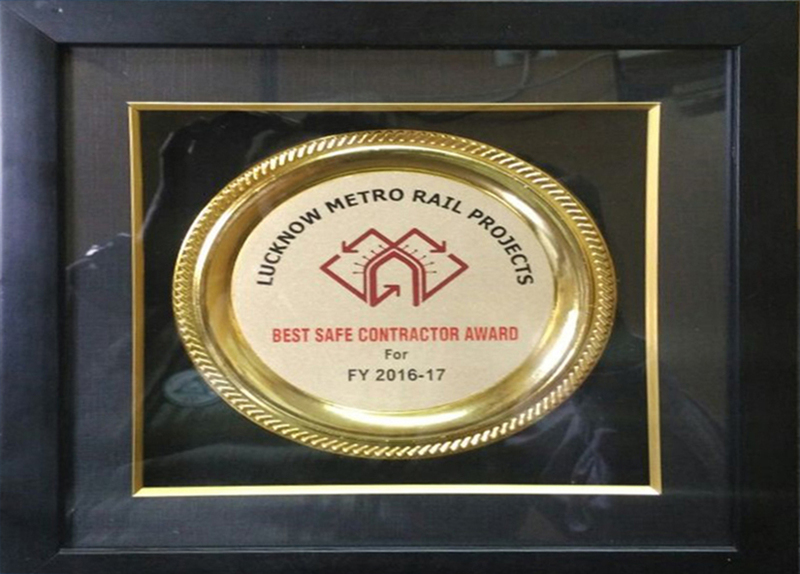 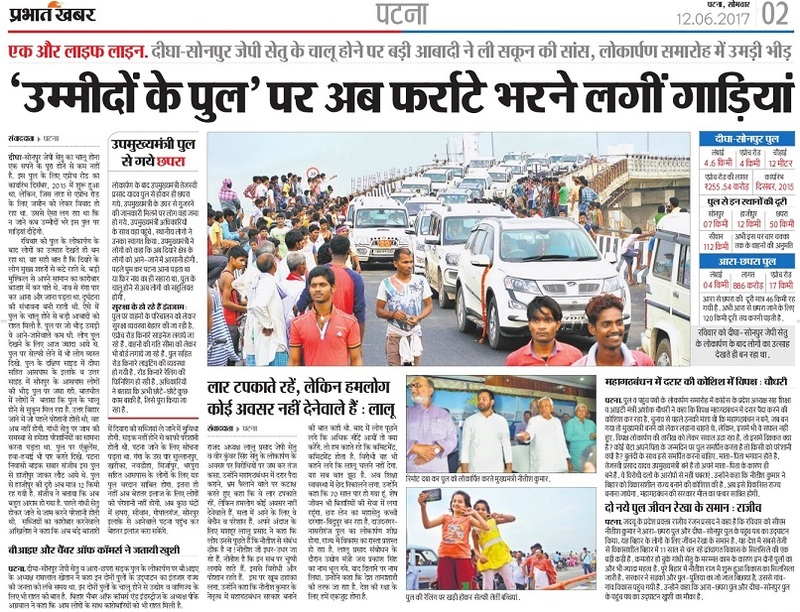 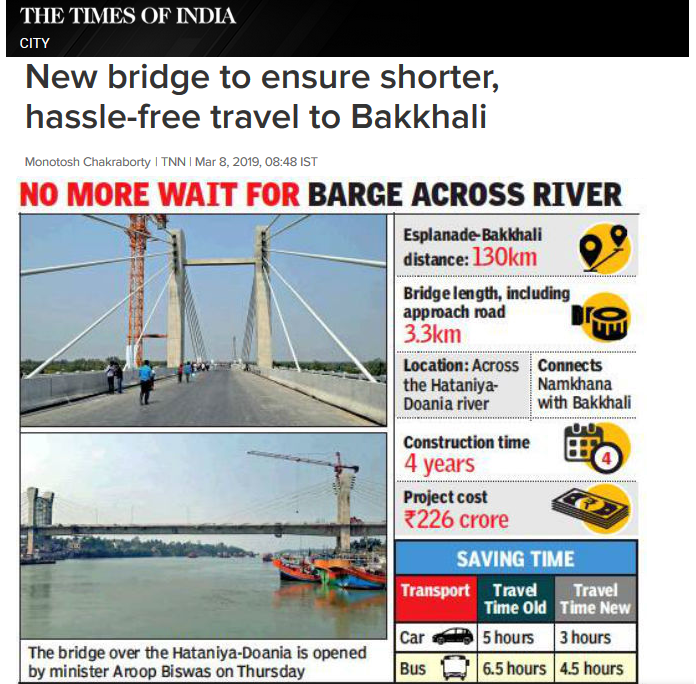 The 592m Atal Setu Bridge, a much anticipated connection between three states in Northern India has joined isolated communities and drastically reduced travel time for locals and emergency response teams. 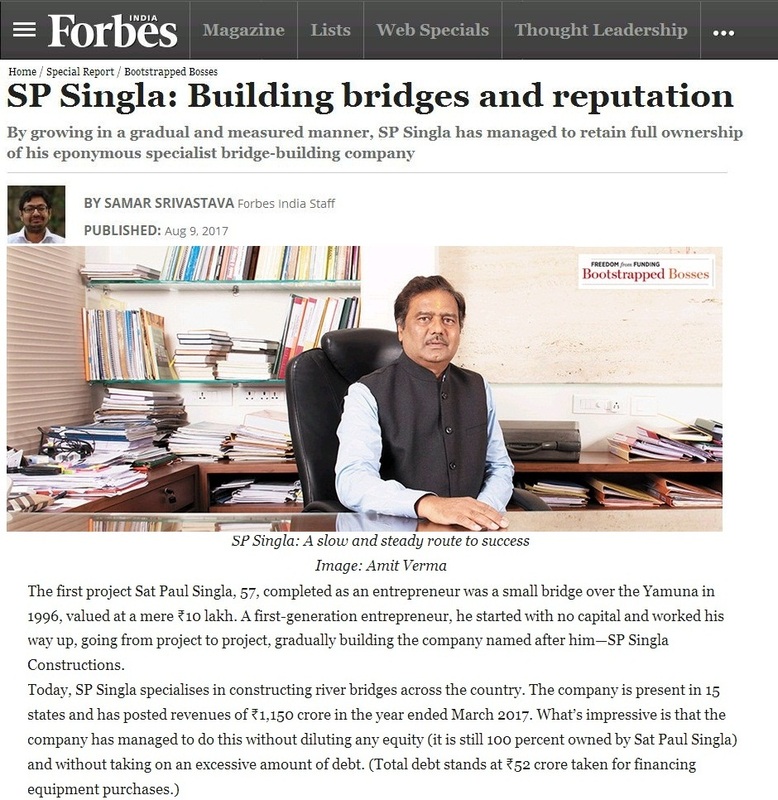 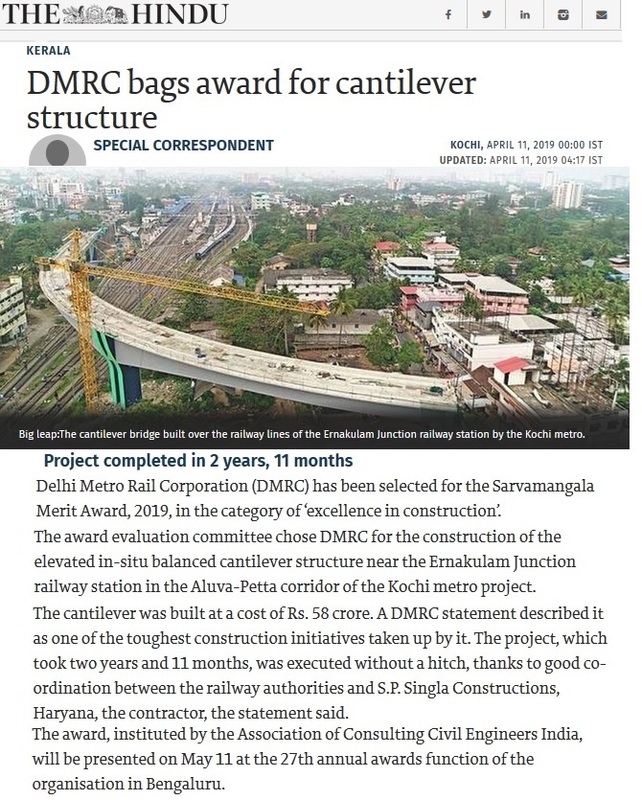 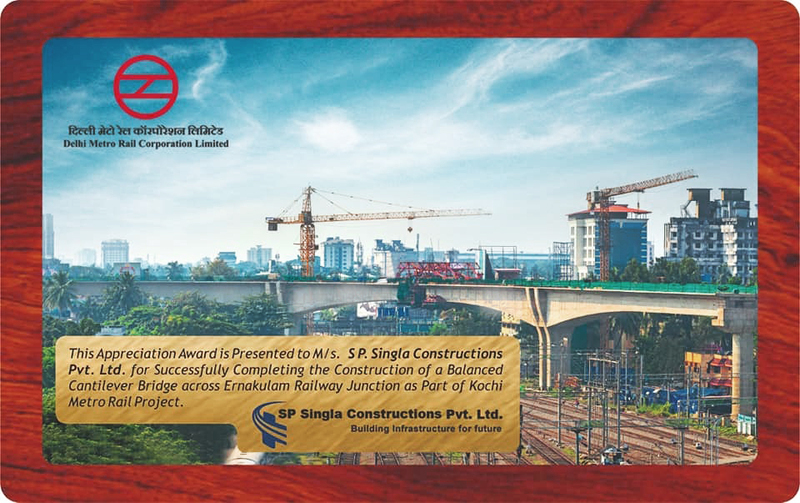 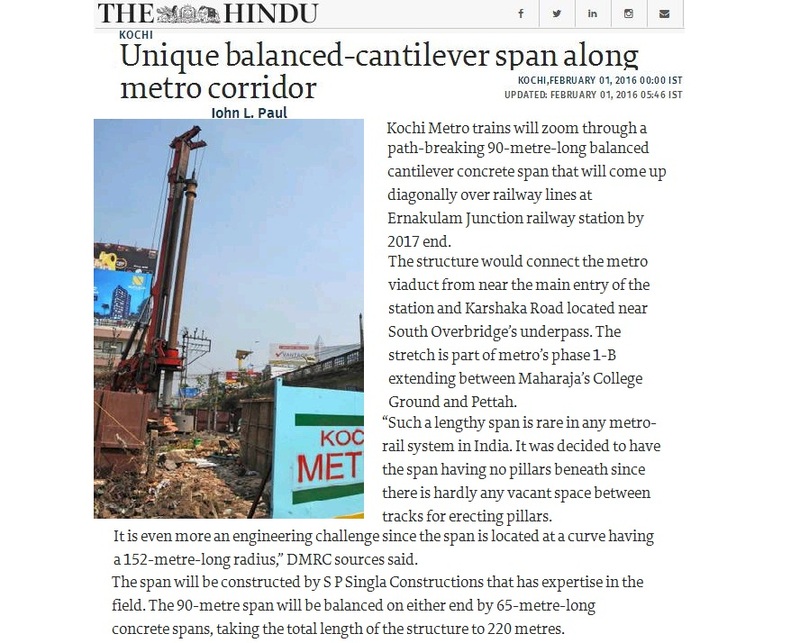 As the first cable stayed bridge in the country procured under a design build scheme, the SPS team delivered a bridges heralded as an "Engineering Marvel" in record time despite unique site and project challenges. 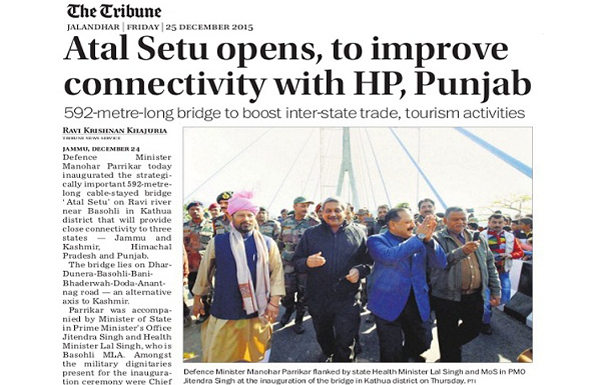 Odisha Chief Minister inaugurating ‘Ib Setu’, the longest bridge of western Odisha in Sambalpur.